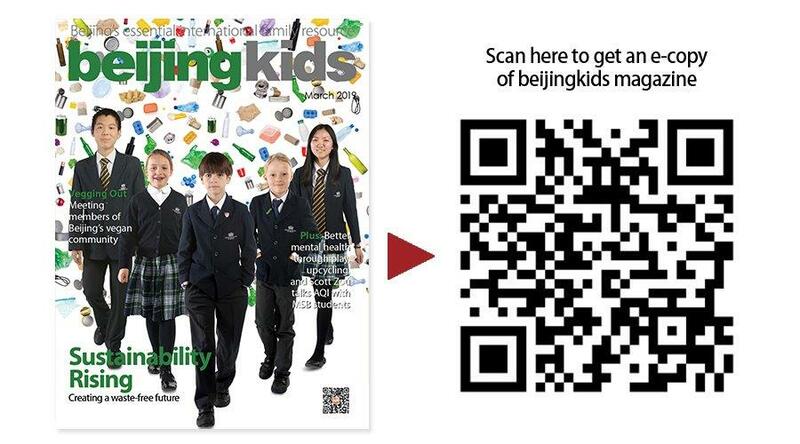 Stacy Andell and Kade Mascarella came to Beijing 11 years ago to work as teachers at international schools. 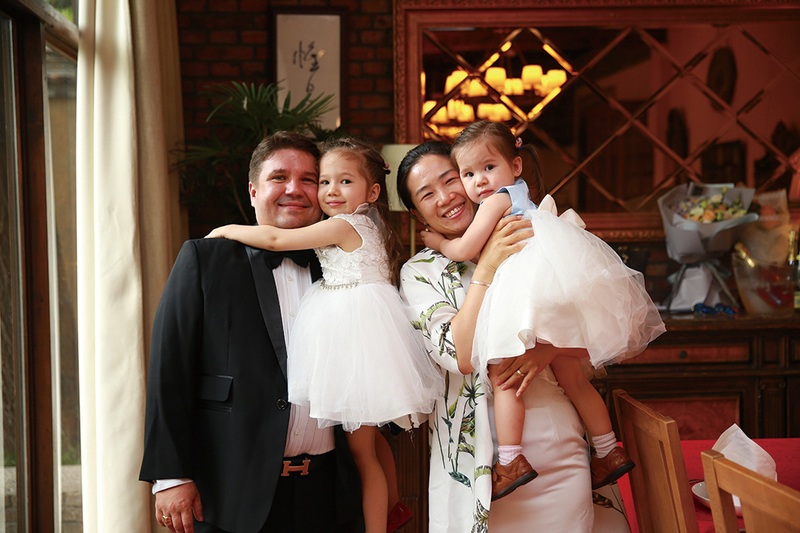 She’s now the Principal of Ganeinu International School, and he’s a kindergarten teacher at Beijing International Bilingual Academy (BIBA). Both their children were born here. Peregrine is 8 and Taliesin 6, and they attend the Lycee Francaise Internationale du Pekin (LFIP). At what age did you start talking to your child about environmental issues? What sort of conversations did you have? Both of our children were born in Beijing, and the air pollution here makes the environment one of the first concerns. We’ve been discussing why we do things to protect the environment from a young age. Last year we went to an Earth Day event together. We learned that manufacturing one new t-shirt requires the same amount of water as growing nine kilograms of apples. I find myself repeating that every time we look at clothes. We don’t buy many clothes, and when we do, we go to Roundabout to buy things secondhand. Does your child’s class at school discuss environmental issues? What form do those discussions take? A couple of years ago, my daughters’ school planted a garden. When they did, they added compost bins. We don’t do the full composting at home. We just gather our scraps and put them in the school compost bins. When and how did you become aware of the importance of waste reduction? I think a big part of modern child-rearing is based around conspicuous consumption. Everything is convenience packaged, with layers and layers of waste. It just piles up. What steps do you take at home to reduce, reuse, and recycle? How do you involve your child? I think our most consistent steps are to reduce and reuse. We just don’t buy a lot of things. When we need something specific, the first thing we do is look around what we have for a solution. We generally figure things out together, and our kids are pretty good about coming up with solutions that work. We don’t shop recreationally, so our kids are not in the habit of buying things. When we go grocery shopping we examine all the packaging closely to decide what has less waste. A few months ago, a friend told us about a local market where we could buy peanut butter in a jar that we could bring back and refill. I think it’s really important for kids to see you making these kinds of decisions and seeing how others in the community have the same priorities. It goes the same for recycling. In my neighborhood, whenever I take something out to put in the recycling bin, I will inevitably see one of my neighbors taking it away to add to their own recycling piles. Sometimes when we take things down, we just hand things to them directly. My kids and I always laugh about how our neighbors are such amazing recyclers, much better than us! I really like that. 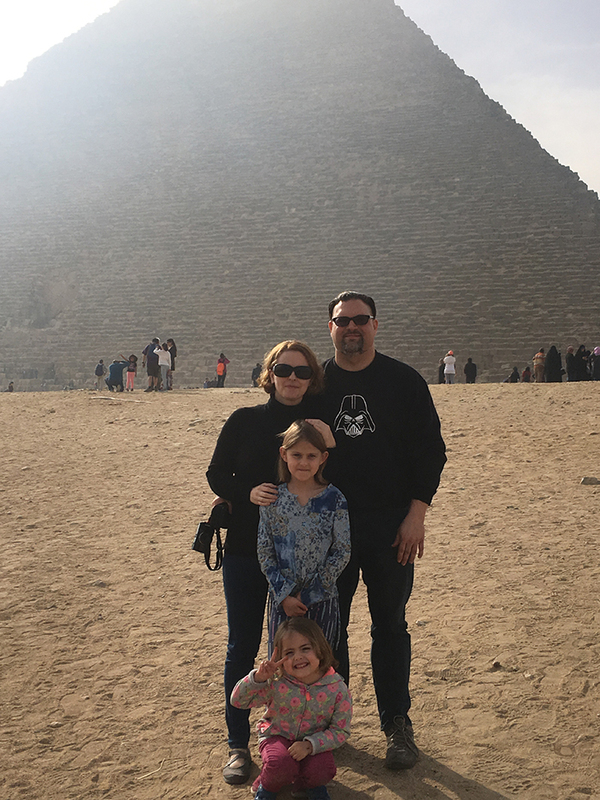 As an expat family, it can be difficult to feel like you are part of the community. For me, protecting the environment is about building community, and I am always looking at ways to show my kids that they are connected to everything and everyone around them and that we have so much to learn from the experience of others. What activities have you and your child taken part in to reduce waste in your community? We have attended some events about the environment. There are also a lot of non-environmentally specific activities too. Last week we went to an event at BIBA. It was all-you-can-eat ice cream, but you had to bring your own bowl and spoon. It wasn’t promoted as pro-environment. Things like that help to normalize waste reduction in our everyday lives. What more could we all do as a society to reduce waste? I think the most important step is to not buy. We are bombarded every day with messages to buy, buy, buy. Even on the zero waste groups, the majority of messages are about what to buy and where to buy it. I think we have gotten too used to seeing ourselves as consumers rather than experiencers. We need to change our mindset. What message would you like the Chinese government to hear about waste reduction? I don’t think it’s my place to send a message to the Chinese government. They should listen to the messages of Chinese people, many of whom express all the same concerns. My messages would be better directed at my own home country’s government, which has a pretty abysmal record of its own. Last summer, I took my older daughter Ella to a lecture given by the Antarctic expedition team for the first time. Ella was sad to see the icebergs melt and the penguins’ living environment changed. Now, since the children are very small, we don’t talk about negative environmental issues very much. In daily life, we remind children to cherish the environment, cherish flowers and plants, and we try to guide them based on what they can understand. Our family’s daycare will talk to kids about recycling and teach them to sort things by different materials. For example, the cookie box is made of plastic and the box is made of metal. Then she asks the children what else they can do with the item once it’s been used. Kids will come up with ideas — plastic handles that can be used as rulers, cookie boxes that can be used as flower pots. This awareness has been around for a long time, especially when it comes to takeout food and unpacking. A bag of food becomes a bag of garbage after dinner. The polyfoam used when delivering fragile items means looking at a big box of garbage which makes us feel guilty. From the moment of packing, such a huge amount of garbage has been generated. And these are just for a meal, a package for our very little family. Convenience solves many families’ urgent problems, but comes at the cost of non-biodegradable white pollution. We try to cook for ourselves. When running out of daily necessities, we try to buy supplementary packs instead of a new one. When we buy vegetables, we try not to use plastic bags. If one bag is enough, the children will try to put everything together and then share the load. I initiated the Joy International Children’s Market, which was designed to “reduce waste” and advocate the reuse of children’s unused items. For example, from the birth of a baby, people begin to use a variety of supplies, such as toys, books, a small rocking chair, a bed bell, baby’s down jacket, and so on, which the child does not use for very long before it is not needed anymore. But the items are still very new, and can be re-used. Dozens of families met to set up stalls for items that could still be used. Since everyone’s prices were very low, they can clear the cupboards in their utility room, reduce the cost of childcare, and make the best use of the goods by finding a new owner. It extends the life of the item itself and reduces waste. Over the past three years, nearly 7,000 families have responded by participating in the Joy International Children’s Fair. In addition to giving children a chance to form an understanding of economic concepts, what’s more important is that only 10% of the unused items in nearly 7,000 households have been turned into garbage in three years. Other toys and books are still in circulation, which greatly reduces the waste of toys, books and other items. I think, less takeout! Those beautiful packaging boxes turn into gorgeous garbage after just one use. Very wasteful! 1. Gradually improve the garbage disposal capacity and garbage classification, as well as the recycling and reuse processes. It is hoped that every garbage station will have the ability to classify garbage. 2. Repair and broaden the sewers, and popularize household kitchen waste grinding equipment. 3. Part of unwanted empty space should be opened to be a sharing platform for public unused items. Promote the reuse of large and low-value items such as furniture and electrical appliances.